Dr MA Atmanand, the Former Director of National Institute of Ocean Technology and Project Director of Integrated Coastal and Marine Area Management, has done pioneering work in the area of deep sea technologies in India. An Instrumentation and Control Engineer by profession, he took his undergraduate degree from University of Calicut, and Master’s and doctorate degrees from Indian Institute of Technology, Madras. His areas of expertise include the development of underwater vehicles with specific reference to their control, the development of components for deep sea applications and the development of test protocols for deep sea devices. 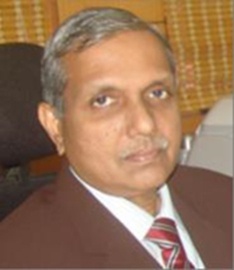 Dr Atmanand has published more than 100 academic papers. He received United Nations fellowship in 1985 – 86. He received the IEEE Oceanic Engineering presidential Award in 2016, National Geoscience award 2010 from the Ministry of Mines and the International Society for Offshore and Polar Engineers (ISOPE) Ocean Mining Symposium award in the year 2009. He is an Associate Editor of IEEE Journal of Oceanic Engineering. He is the founder Chair of IEEE Oceanic Engineering Society (OES) in India. He has served IEEE Madras section in various capacities and he is the current Chair and he is a member of Administrative committee of IEEE OES.